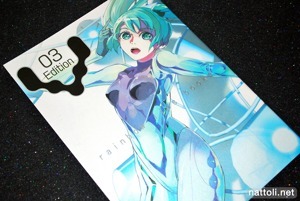 V-Edition 03 is 40-pages when counting the covers, and A4-sized. 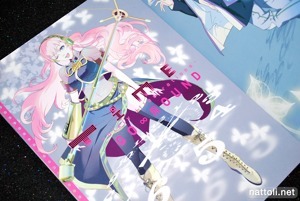 It's staple-bound as well, and has a total of 13 page-spread illustrations so you don't miss out on any part of the art work due to the book binding. The outside cover has a shimmering finish with an embossed "V" logo and a metallic finish on the text. 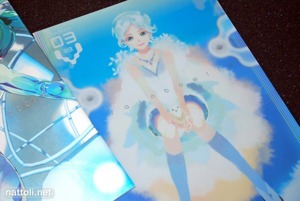 It was released with an oversized clear file extra of one of 119's original character designs. 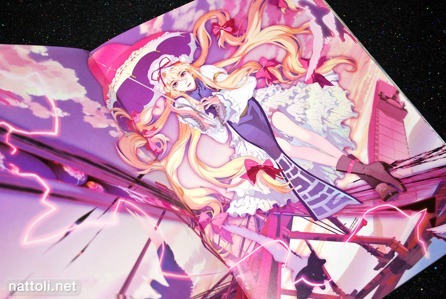 From the beginning to about half-way through the art book, it's all Touhou illustrations. 119's take on the characters are easily some of my favorites with their beautifully detailed costumes and dramatic, lively expressions. The backgrounds are also every bit as detailed as the characters, with colorful finishes that engage the imagination. 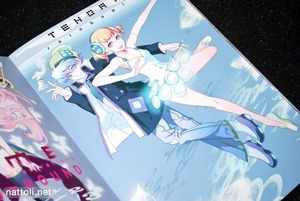 The second half of the book features a mix of original characters and fan arts. 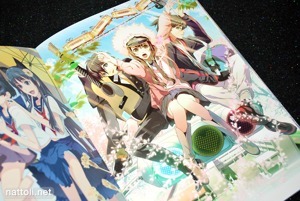 There isn't an index or any clear labels on the illustrations, so I may be mistaking fan arts for original works. 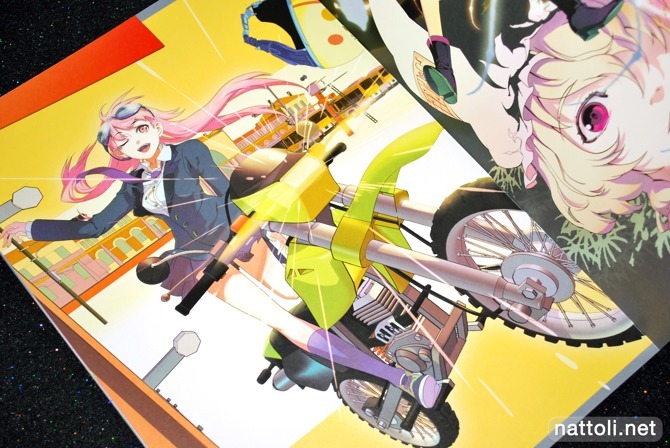 Seeing as how 119 gained his notoriety from Vocaloid illustrations, it's fitting that there are a few included in this collection, along with the Hatsune Miku on the cover. 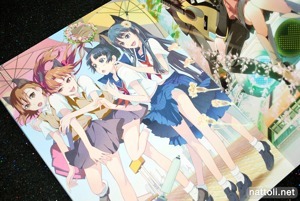 The girls from To aru Kagaku no Railgun are included, but only in one illustration. I don't recognize the musical trio on the traffic light from anything, but if someone knows leave a comment! 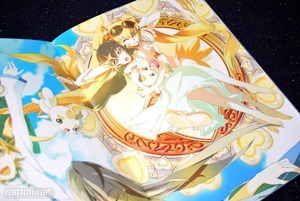 I always love to see Princess Tutu fan arts, there just aren't enough out there, but 119 has done an ultra modern take on the designs. I've never watched PreCure, but apparently Cure Sunshine is all the rage at the moment, I've seen illustrations of her in so many of the doujins I purchased this past Comiket. Anyone know why? 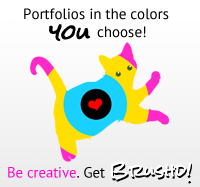 I love the vivid type backgrounds, very pretty, good find! 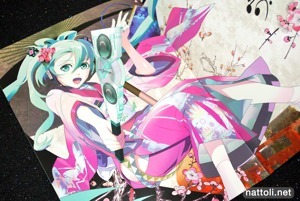 Did the artist has a website? Not at the moment, but he has a Pixiv account.